After attending the WCMA Product Awards Reception on September 9,2014 and have been judge myself, for many years I would like to congratulate Hunter Douglas on the numerous outstanding awards they received. Specifically, the Product Development Team was featured for the Heritance Hardwood Shutters Collection was awarded Product of the Year which is a grand achievement. Hunter Douglas Hardwood Shutters add warmth and natural charm to this dining room. Hunter Douglas Designer Roller Shades accent this music area- while still being light filtering they are also distinctive in design. 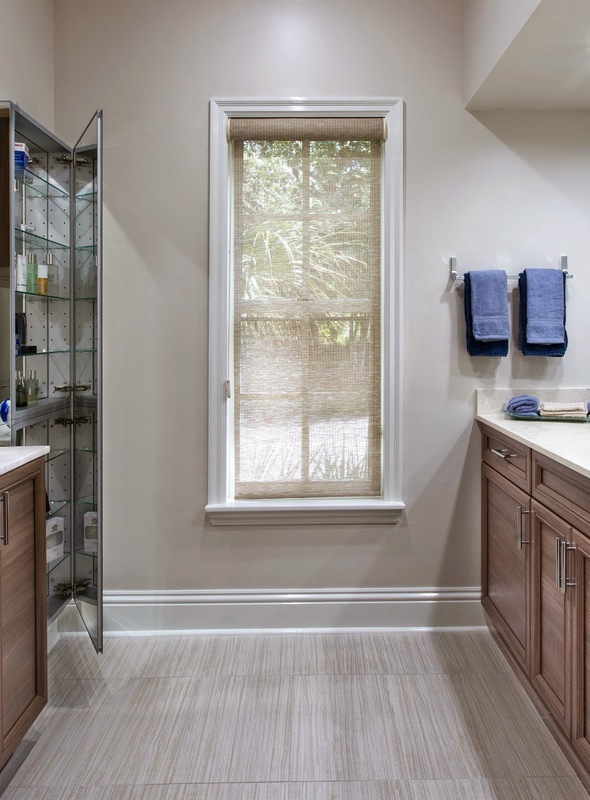 Privacy and light control is a must in a vanity area but one will not have to sacrifice beautiful design with Hunter Douglas Designer Roller Shades. 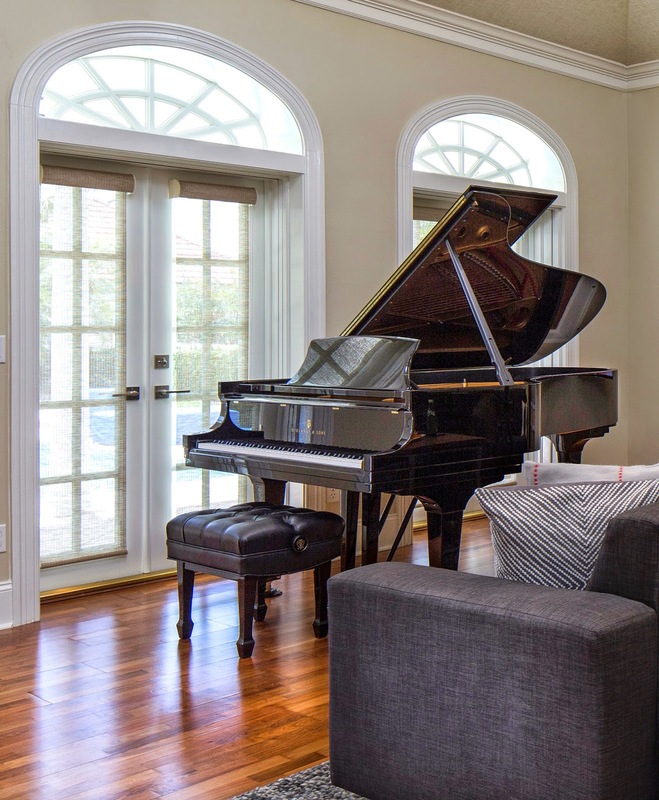 The palladian windows in this living room have Hunter Douglas Alustra Silhouette to diffuse the exterior light that filters into this space.